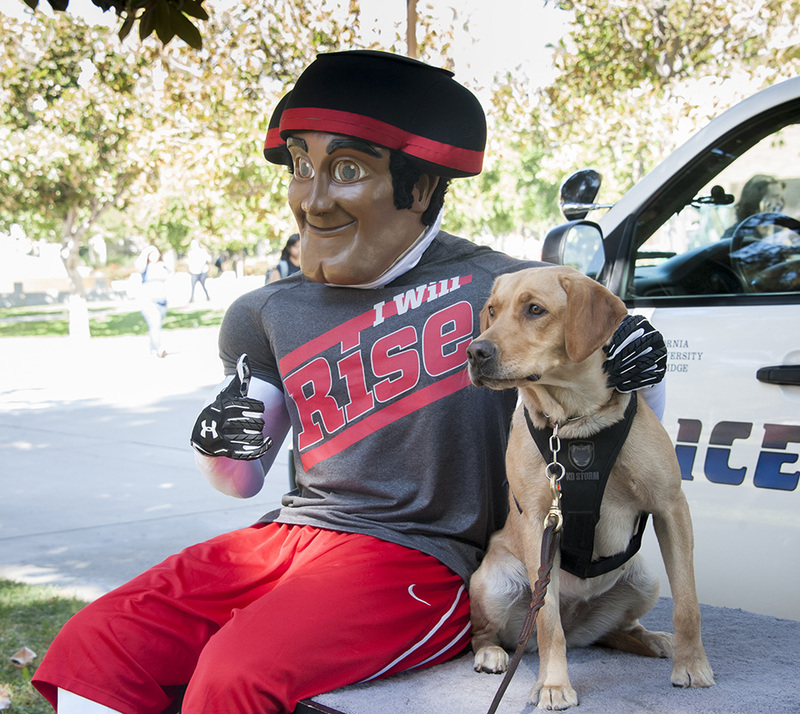 A furry new addition to the California State University, Northridge Department of Police Services (DPS) was introduced to the CSUN community on Sept. 20. 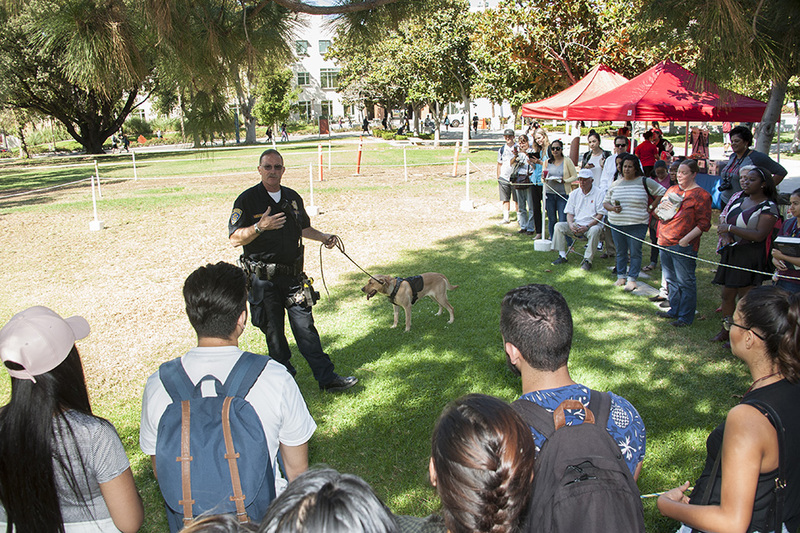 CSUN welcomed its sixth K9 unit and first Labrador retriever, Daisy, on Bayramian Lawn, where students, staff and community members could purchase Daisy-themed T-shirts and stuffed animals, take a picture with the friendly 15-month-old pup and watch Daisy perform demonstrations. 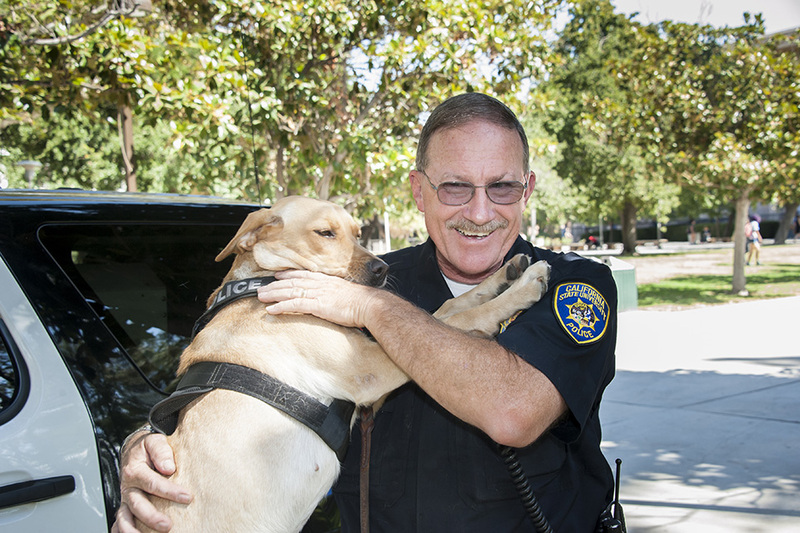 Officer Virgil Messmore, who has worked in law enforcement for 22 years, indicated in his CSUN bio that it has been his lifelong career dream to become a canine handler, and he now serves as partner to the yellow English and American Labrador. 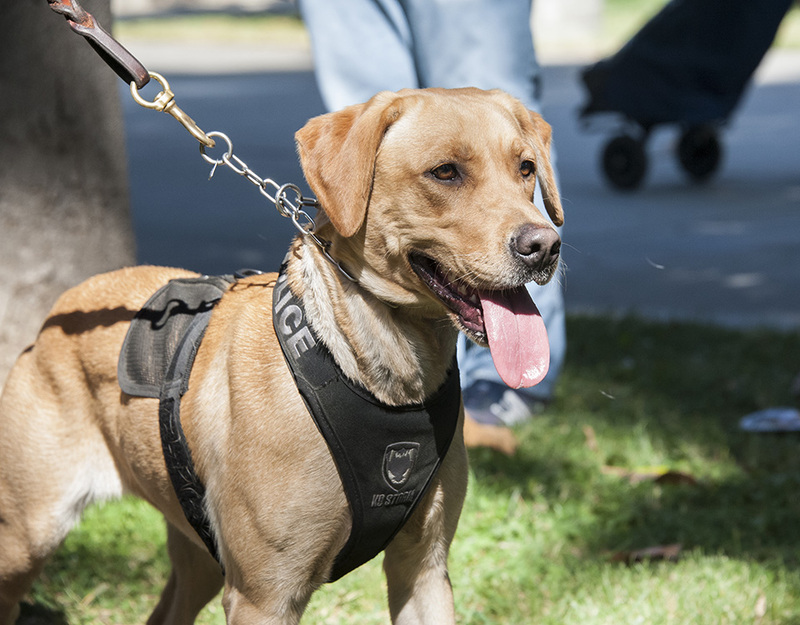 Arriving in June and starting work in July, Daisy went through a month-long German training course in explosives detection, where she learned 16 scents. 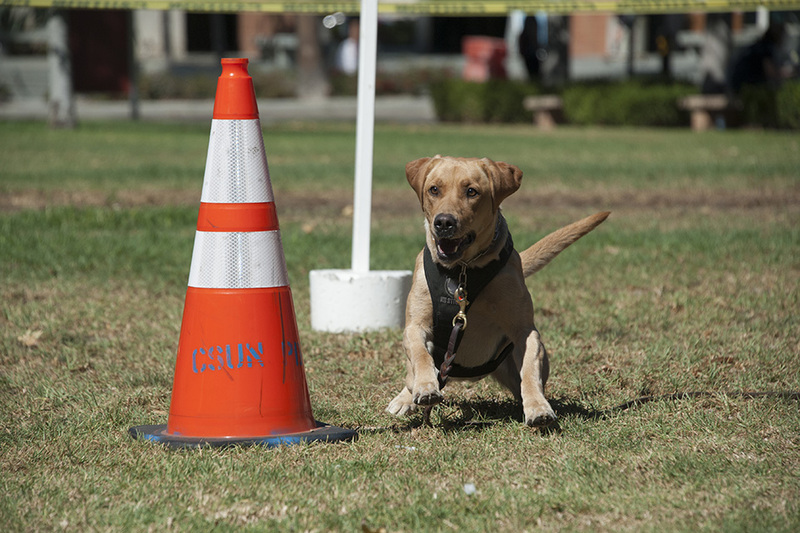 At the CSUN event, Daisy performed an explosive-detection demonstration. 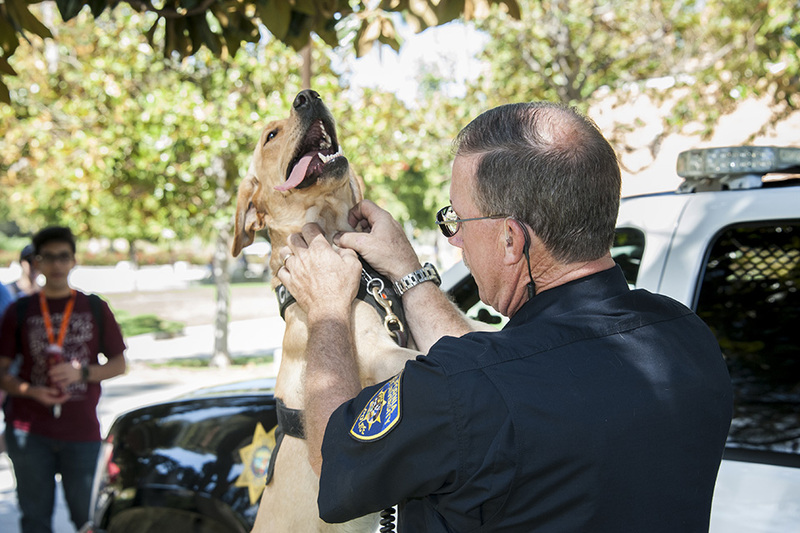 When she located the scent, Messmore rewarded her with a toy, followed by a round of applause from the crowd. 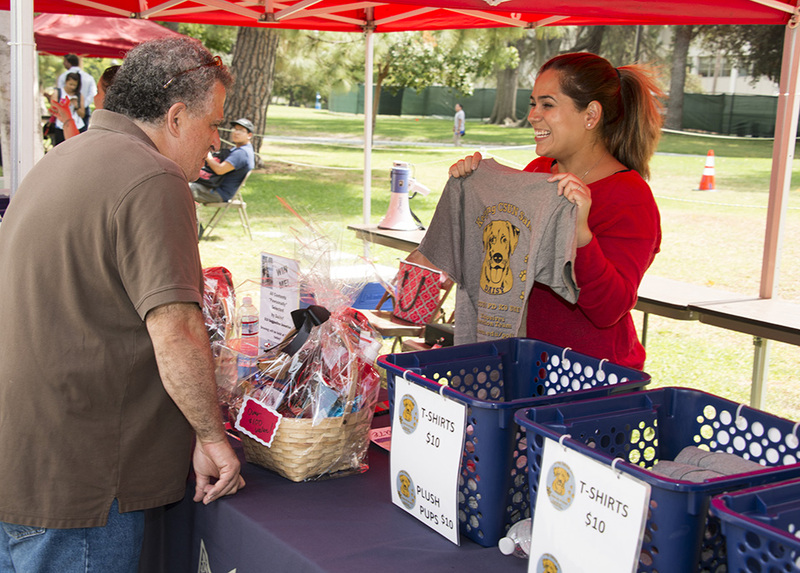 The CSUN community and DPS gave the Lab a warm welcome, and DPS staff said they hope to use the proceeds from the T-shirts and stuffed animals sold to acquire another K9 unit in the future. 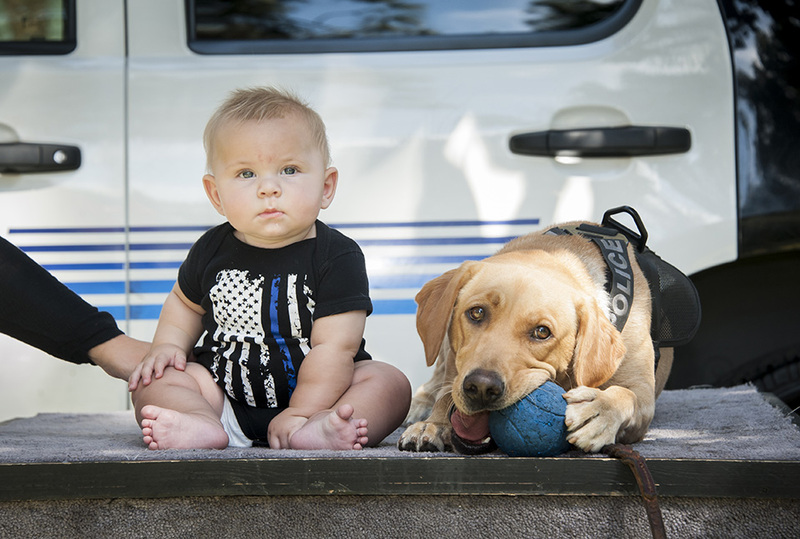 To donate to CSUN’s K9 fund, vist the National Police Dog Foundation.